Be part of the Philippine Good Governance Summit 2018 and experience a journey like no other. 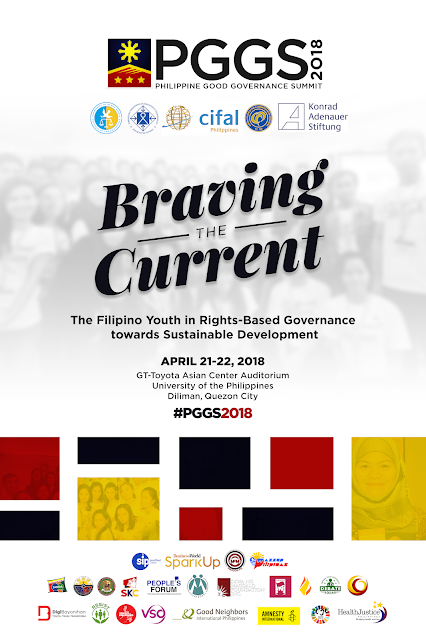 Join youth leaders all around the country as we challenge the tide and highlight the importance of Rights-based governance towards our pursuit of sustainable development. Brave the current with us! See you this April 21-22 at the GT-Toyota Asian Center Auditorium, University of the Philippines Diliman, Quezon City. Follow us on Twitter @pggsofficial and get updates about PGGS 2018.